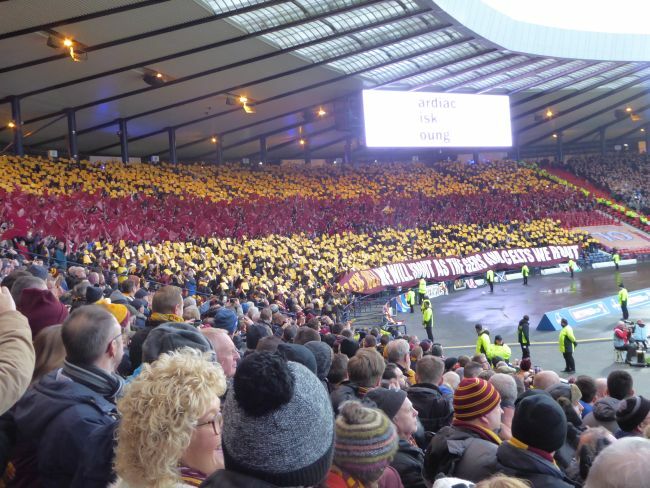 Season 2017/18 grew into a fairytale for Motherwell fans. League safety, a wee cup run and some transfer income was all we sought but we were to be delivered one of the most successful seasons in recent decades. The summer of 2017 was one of change at Fir Park. It was time for an overhaul of the ageing squad and Stephen Robinson and his scouting team set were on top form. Notable departures included Heneghan, to Sheffield United for a handsome fee, McFadden, McDonald, Ainsworth, Samson and Pearson. Lasley’s playing career ended but he remained as assistant manager. The replacements who were to make the most significant contributions included Kipré, Griffiths, Carson, Tanner, Rose, Bigirimana, Dunne, Hartley and Grimshaw. There was much relief that Cadden and Moult were still with us. The board weighed up an offer from Aberdeen for the striker but gambled that we would be better to cash in at the next window. It was a brilliant decision and Louis thrilled us with some spectacular goals before we agreed a £500K deal with Preston at the year end. 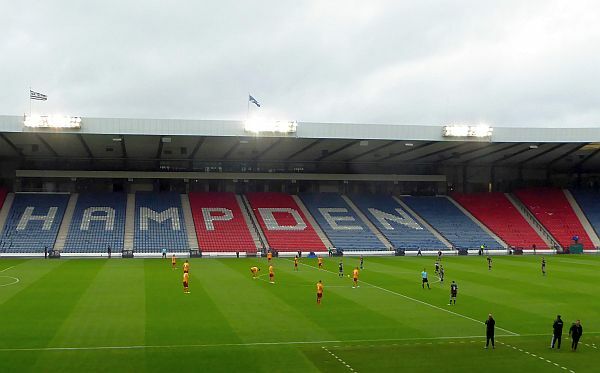 We kicked off the season at Hampden with the Betfred Cup group stage. The thought that this was to be the first of five visits to the old stadium occurred to none of the 1,600 fans who witnessed the 5-1 win. The League Cup group stage was won in style. The Well Society invited some local Syrian refugees to Fir Park for our tie with Berwick Rangers, a move that was widely welcomed. We made progress in the knockout stage with an extra-time win in Dingwall before an excellent performance dispatched Aberdeen. That earned us a semi-final meeting with Rangers. What a day! We managed not to concede in the first half and took the lead when Moult ended a scramble in the six yard box with a shot high into the net. Better was to come when he produced a sublime long range lob to seal the win with 15 minutes to spare. We had our third trip to Hampden on 16 November when Celtic lifted the trophy after a 2-0 win. The final was sandwiched between two league fixtures against the same opponents. The week was a turning point in the season. Until then we were established in the top half of the table with an impressive 8 wins, 1 draw and 5 losses. Following that bruising week injuries piled up as the physical and mental drain took effect. We came within a few minutes of ending Celtic’s long unbeaten run at Fir Park but had to settle for a point before fatigue caught up and we lost 5-1 at Parkhead. Then followed losses to Hearts, Partick Thistle and Kilmarnock, a draw with Dundee, before the year ended with defeats from Rangers, and embarrassingly, Hamilton after we had taken an early lead. To add to the misery Hartley got himself a red card after the final whistle. The winter break offered welcome relief. 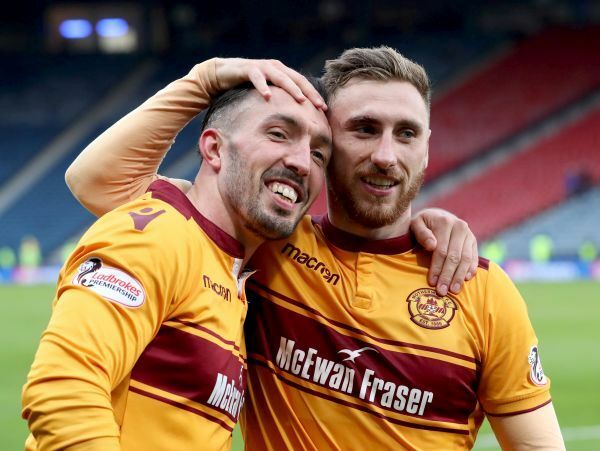 We had a long, long injury list and, as Louis Moult delivered his farewells, an ineffective strike force. At the end of October we were comfortably placed in the top half of the table but by December’s end we were in eighth place only four points above the play-off spot. Pressure was building on the manager to find the talent needed to end our plunge. John Swinburne's passing was marked ahead our our match against Hibs in October. Scott Leitch left his post at the Academy in December and we retired Claret and Amber in favout of Steelman and Raven Steel. The club AGM took place in December and thanks to combination of transfer income and sell-on bonuses our chairman Jim McMahon beamed at the prospect of cash in the bank. The idea of renewing the PA system and installing a video scoreboard was raised though funds had to be set aside for replacement firepower.